October 15th, Monday. The Great Hall of the All-Russia State Library for Foreign Literary (LFL). E.Yu. Genieva (General Director LFL). Welcoming speech. G.B. Dergachev, Chairman of the Scientific Enlightenment Centre “The Free Philosophical Society”. Welcoming speech. Plenary session: The enlightenment ideas of Nikolai Novikov and his circle. G.B. Dergachev. Prof., Dr. of philosophy. The world-view of N. Novikov’s circle. I.I. Evlampiev. Prof, Dr. of philosophy. The philosophical searches N. Novikov’s circle. A.V. Nefedov. The historiography N. Novikov’s circle. V.I. Novikov. Pushkin and Novikov. E.B. Rashkovsky, Prof., Dr. of historical Sciences. The philosophy and the masonic world-view of G.I. Dershavin’s “Ode”. Birgit Menzel, prof., Dr. (Germany). 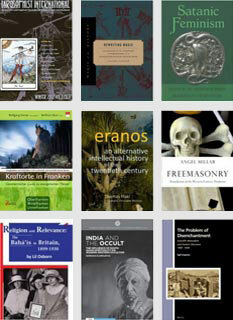 An overview of ESSWE researches in the field of Russian Esotericism. Henrik Bogdan, Dr. (Sweden). Freemasonry and Western Esotericism. Robert Collis, Dr. (Great Britain). Alchemy in Russian Freemasonry. moderator: Prof., Dr. Birgit Menzel. 16.00 – 18.30. Panel “The Russian Rosicrucianity as esoteric Christianity”. Moderator: Senior Researcher Centre for Religious and Russian Еmigrе LFL. А.L. Rychkov. Raffaella Faggionato. Prof.ssa (Università di Udine, Italy). The Rosecrucian idea of the “internal man’s” renascence in the first versions of the novel “War and peace”. I.S. Prichodko, Prof., Dr. of philological Sciences, Chairman of the Blok Commission of the Russian Academy of Sciences. The Russian perception of Dante as a “Cross and Rose knight”. А.L. Rychkov. Nikolai Novikov’s ideas in Alexander Blok’s life and creative work. Yu.L. Khalturin, candidate of philosophy. The Russian Rosecrucianity as Esoteric masonrу. Senior Researcher Centre for Religious and Russian Еmigrе LFL. V.I. Kiprin, member of the Moscow Union of architects. Novikov’s Moscow. October 16th, Tuesday. Great Hall. moderator: Dr. of Philosophy, Prof. G.B. Dergachev. (list of reporters to be announced). Coffee breaks at 14.00 – 14-30 and 16.30-17.00. 18.00-19.00. The summing up of the Conference results. Round table discussion “The Russian mason’s world-view: gnosis or enlightenment?” with the organizers of the Conference “Novikov and the Russian masonry” in Kolomna (May 17-20 1994). Speakers: representatives of M. I. Rudomino All-Russia State Library for Foreign Literature and Bibliotheca Philosophica Hermetica (Аmesterdam), Raffaella Faggionato, V.I. Novikov, А.V. Nefedov and others. 10.00 – 14.00. Bus excursion “The Novikov places of Moscow”. 15.00. The opening of N.I. Novikov’s bust. Statements of E.Yu. Genieva, А.V. Nefedov, I. Korshev and the representatives oft the charitable donor foundations. 16.30-17.00. Presentation of the book „Nikolai Novikov’s morning light”. Statements of the project participants. 17.00 – 19.00. Concert: music of mystic composers of N. Novikov’s time. 19.00 – 20.00. Stand-up party. Senior Researcher Centre for Religious and Russian Еmigrе, M. I. Rudomino All-Russia State Library for Foreign Literature. Note: The list includes all reports, the Conference Organizing Committee was informed about until the 01of July 2012. The final report list to be announced. The conference is timed for the 90th Anniversary of the M.I. Rudomino All-Russia State Library for Foreign Literature and is devoted to the discussion of the spiritual enlightenment of Nikolai Novikov and his circle and their return into the cultural turnover. Implementing these ideas during the whole period of their translation and editorial work, Novikov and his associates incessantly familiarized the Russian readers with the creative work of European writers, the philosophic and esoteric ideas of the world and the classical authors of the Western mysticism. The activities of those innovative thinkers indoubtedly furthered the formation of the religious tolerance, indulgence and the liberty of conscience conception, that are so indispensable for the contemporary globalized society. As a continuity symbol of Nikolai Novikov’s spiritually-educational work, on the last conference day Nikolai Ivanovich Novikov’s bust will be set and solemnly opened in the Atrium of the Library for Foreign Literature. It will also be held a presentation of the collection of articles “N.I. Novikov’s morning light”, edited by the “Rudomino Book Centre” (“Центр книги Рудомино”). The plenary part of the conference is dedicated to the surveying of the enlightenment ideas of Nikolai Novikov and his circle. In the frame of the conference will work two thematic pannels: “The Russian Rosicrucianity as esoteric Christianity” and “The philosophical and esoteric ideas of the Novikov circle members: their masonic searches and modernity”. To the conference participants is offered the opportunity to discuss in the frame of the panels the work of N.I. Novikov as an outstanding figure of the Russian culture generally and at the same time as one of the most well known Russian freemason and rosecrucian. 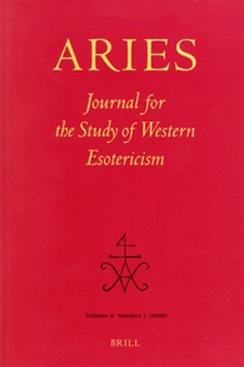 In his work he tried to connect the rational and the mystical, the ideals of Enlightenment and Esotericism, the secular and the religious, the universal human values and national values, breaking the confessional framework of the Christian mysticism and anticipating in this way several development lines of the Russian culture and religious-philosophical thought. From this viewpoint the activities of N. Novikov and his circle are still far from being fully comprehended. In this connection, the whole second conference day is dedicated to the masonic searches of N. Novikoväs circle, including the pannel: “The philosophical and esoteric ideas of the Novikov circle members: their masonic searches and modernity” and also the Round table discussion “The Russian mason’s world-view: gnosis or enlightenment?” The specialization of the pannel is caused by the circumstance, that masonry, being an arterial phenomenon of the Russian and world culture, still remains a marginal topic of scientific research. This contradiction resulted in the fact, that the lack of scientific research was filled in by a plenty of myths, stereotypes and ideologems that obstruct an unblessed analysis and understanding of masonry’s role in society and culture. Undoubtedly, this state of things is connected also with the nature of masonry as a secret, esoteric, initiative organization and with the fact that the full knowledge about it cannot be available for a detached searcher. Nevertheless, an academic, scientific discource could create a space for a dialogue that is necessary for drawing near to an adequate understanding of masonry as distinctive cultural phenomenon. In the history of Russian science there were made several attempts to unite scientists for a complex research of the masonry phenomenon, and those attempts should be continued, because such a complex and multifaceted phenomenon san be searched only by concerted efforts. In the frame of the cultural program of the conference it is planned to arrange an excursion on the topic “Masonic Moscow”, a concert of the music composed by mystic composers of N. Novikov’s time, the solemnly opening of N. Novikov’s bust and the presentation of a new book about his creative work including a facsimile of his previously not reprinted journal “Morning light”(“Утренний свет”). 13. The role of masonry in history and modernity: myths and reality. 14. Please note, in what language the report will be read. The sending of the application and the text stands not automatically for the inclusion of the report into the conference program. The decision on the received materials will be made during a week after the end of their submission term and brought to the notice of the applicants by e-mail. On the results of the conference work will be edited a collection of scientific articles. The Organizing Committee reserves the right to select the texts for publication in this collection. The report text (volume: 15000-20000 characters including intervals and footnotes), will be accepted only in electronic form. 3. Кондаков И.В. Интерсубъективность культуры // Обсерватория культуры. — 2004, № 4. Deleuze G. Difference and Repetition. — NY: Columbia University Press, 1994. Address for letters and telegrams: 109189, г. Москва, ул. Николоямская, дом 1. ВГБИЛ, Научно-исследовательский центр религиозной литературы. Ответственному секретарю конференции «Россия и гнозис» Рычкову А.Л. (109189, Moscow, ul. Nikoloyamskaya, 1, WGBIL (LFL), The scientific research department for religious literature. Responsible Secretary of the Conference “Russia and the Gnosis” A.L. Rychkov.